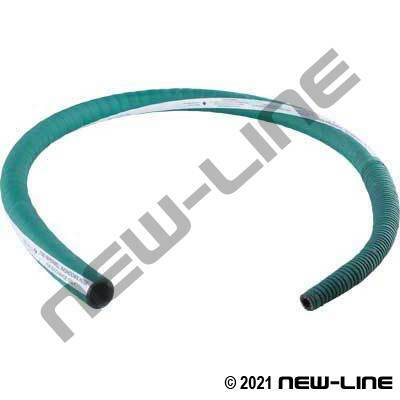 Instead of replacing entire 50ft lengths of our NL2270 / NL2275 Green Pulp & Papermill Washdown Hose when the nozzles wear out, these NL2281 are 6 ft replacement whips that include the same rubber built on nozzle. They can be attached to the old washdown hose with a hose mender and clamps. Construction: Tube: Black SBR rubber blend. Cover: Wrapped, green SBR rubber blend. Reinforcement: Spiral plied synthetic fabric.